Young@Nor-Shipping will again be part of the official Nor-Shipping week (4 – 7 June 2019). 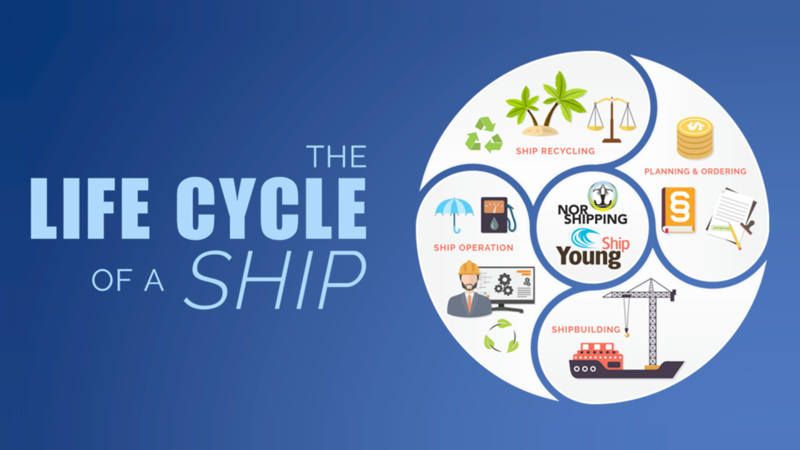 In the period leading up to Nor-Shipping 2019, YoungShip Oslo will present to its member and other interested parties, through events and news articles, the life cycle of a ship from its pre-construction phase to its recycling. A vessels timeline can be divided into four main phases: Phase one is initial planning and ordering. In this phase, the shipowner will start planning the ordering of a newbuild, how to finance it, which yard to choose, which classification societies etc. Phase two starts when the building process of the ship is initiated, from signing the contract, to first steel cutting to keel laying, launching and sea trials. Phase three is the ship’s life in operation. In this phase, we meet the people: the brokers, the agents and the charterers. The ship then goes into its final phase four when time has come for recycling and scrapping. Up to Nor-Shipping 2019 we will introduce and provide insight into these four phases of a ships life cycle. At Young@Nor-Shipping in June 2019, we will guide our members through these four phases focusing on the ocean space and opportunities: Will the new opportunities with the ocean space change the way business is done during a vessel’s life? Will we still build the same vessels? Will we use the same fuels? Can the ocean space be used for recycling of a ship? As of today, phase one is officially initiated and we look forward to follow a ship’s life cycle during the next year.